One of the highly anticipated Apple devices that many tech enthusiasts have been looking forward to being released this year is the 2019 iMac. Fortunately, it’s already up for pre-order which began on March 19. Amidst all the excitement thanks to the iMac 2019, an interesting Apple patent was spotted by news outlets. The patent details about an iMac which can wirelessly power the keyboard and mouse without the need for a cable or batteries. The Apple patent application published by the US Patent and Trademark Office was first spotted by Apple Insider. As noted by one report, the idea is to give wireless power to nearby devices so that their batteries don’t need to be recharged. This is different from the wireless charging for smartphones and smartwatch. While smartphones and smartwatches would require a wireless charging mat to be wirelessly charged, the wireless charging feature depicted on the Apple patent doesn’t need one. It will only require a short distance for it to transfer wireless power from a desktop computer or display. Will This Feature Be Seen On Future iMacs Or On Current iMacs? The thing about patents, although they’re interesting to see as they give us, the public, an idea what Apple is working on behind closed doors, patents in generally doesn’t act as a 100 percent guarantee that the concept design will appear on a future Apple product. It’s best to leave expectations lower. But what if this wireless charging feature gets released? Will the currently available iMacs be able to have such a feature? Unfortunately, the answer is no. This is because the patent describes that devices need specific hardware to receive power so no software update could magically give the current iMacs this ability. 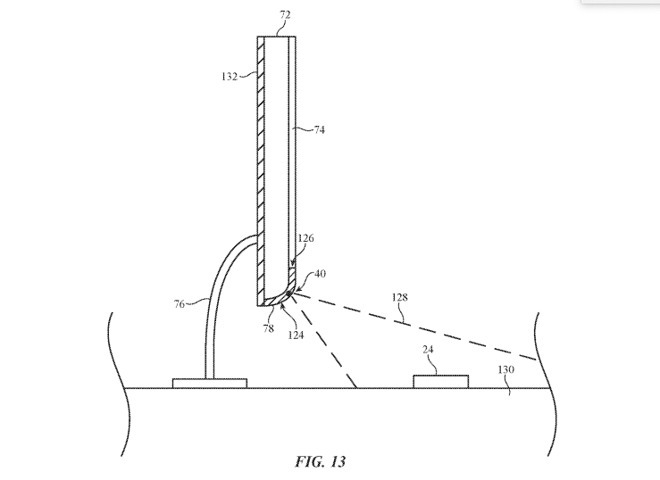 What do you think about this Apple patent? What are the chances of it appearing on future iMacs? Tell us in the comment section below.